Moore Cadillac of Richmond has been servicing SAAB vehicles for over 20 years and have certified Saab Master Technicians waiting to service your Saab. 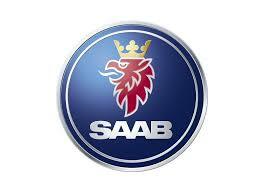 We sold new SAAB vehicles up until 2010 under the "SAAB of Richmond" franchise. Now, we continue to keep Richmond and Central VA, SAAB vehicles on the road. We offer competitive pricing as well as knowledgeable and experienced staff ready to assist you with all your SAAB Parts and SAAB Service needs. If we do not have the part in-stock we can order directly from SAAB straight to your door step depending on availability. We only sell Genuine SAAB Parts. If you see a genuine OE new SAAB part for less, call or email us and our staff will be happy to confirm the price and try to beat it.